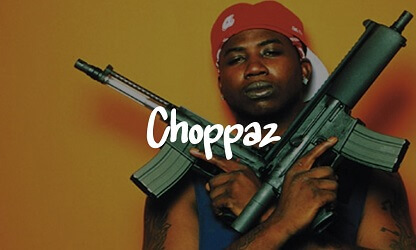 I just finished up producing this Gucci Mane type beat called “Choppaz”. Listen to this Free Trap Beat in the embedded Youtube player below. The Free Trap Instrumental that is posted here is ok to use for non profit use. That means that any type of commercial use is off limits. Nevertheless, if you want to obtain a license for this Free Instrumental it's perfectly possible. We offer Mp3 leases, trackouts and unlimited lease for all our free type beats.